Situated in Bright, this motel is within a 5-minute walk of Bright City Clock Tower and Bright Library. Alpine Visitor Information Centre and Centenary Park are also within 10 minutes. 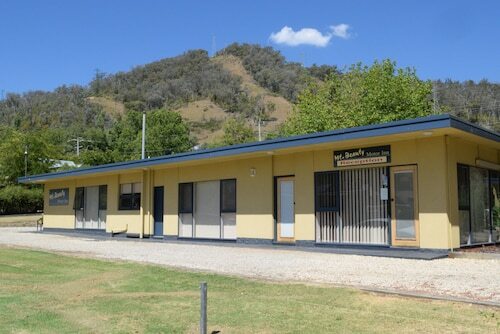 Situated in Bright, this motel is within 1 mi (2 km) of Ovens River Rail Trail Bridge, Bright City Clock Tower, and Alpine Visitor Information Centre. Centenary Park and Bright Library are also within 1 mi (2 km). 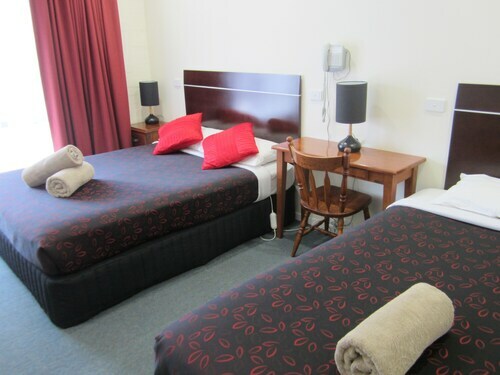 Situated in Bright, this motel is steps from Bright Library and Bright City Clock Tower. Alpine Visitor Information Centre and Bright Splash Park are also within 10 minutes. Located in Porepunkah, this family-friendly campground is 1.8 mi (2.9 km) from Bright Golf Club, and within 6 mi (10 km) of Bright City Clock Tower and Alpine Visitor Information Centre. Centenary Park and Mount Buffalo National Park are also within 6 mi (10 km). 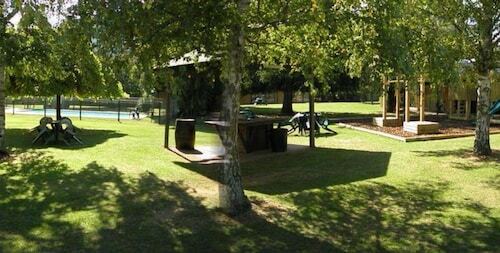 Situated in Mount Beauty, this motel is within a 10-minute walk of Mt Beauty Visitor Information Centre and Mt Beauty Golf Course. Mount Feathertop and Falls Creek Alpine Resort are also within 20 mi (32 km). 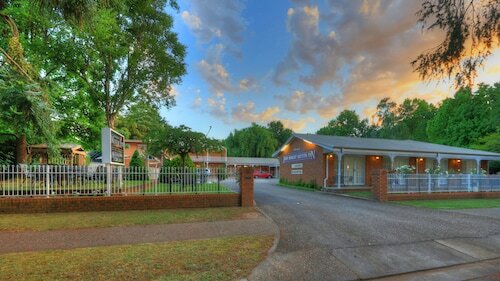 Situated in the historical district, this motel is within a 10-minute walk of Bright Splash Park and Centenary Park. Alpine Visitor Information Centre and Bright City Clock Tower are also within 15 minutes. 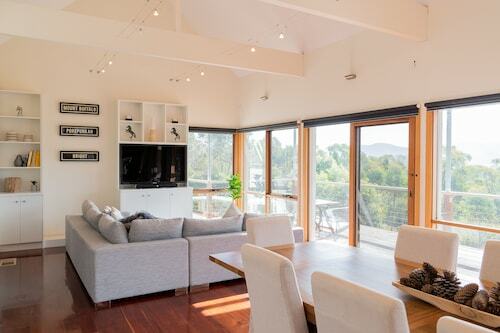 Situated in Wandiligong, this luxury cottage is within 6 mi (10 km) of Bright Library, Bright Splash Park, and Alpine Visitor Information Centre. Centenary Park and Bright City Clock Tower are also within 6 mi (10 km). 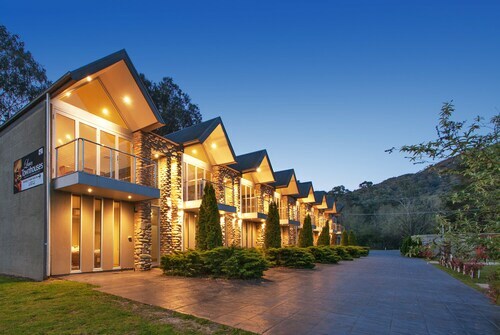 Situated in Porepunkah, this vacation home is 2.1 mi (3.3 km) from Mount Buffalo National Park and 2.9 mi (4.7 km) from Bright Golf Club. Ovens River Rail Trail Bridge and Bright City Clock Tower are also within 6 mi (10 km). 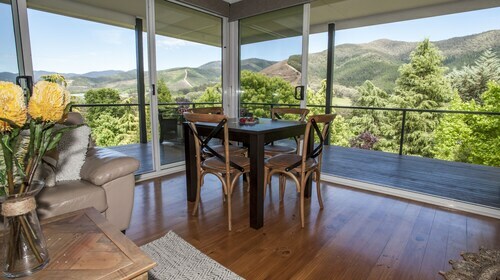 Situated in Bright, this luxury cottage is within a 15-minute walk of Bright Library, Bright City Clock Tower, and Alpine Visitor Information Centre. Centenary Park and Bright Splash Park are also within 1 mi (2 km). Situated in Bright, this luxury apartment building is close to Bright Splash Park, Centenary Park, and Alpine Visitor Information Centre. Also nearby are Bright City Clock Tower and Bright Library. 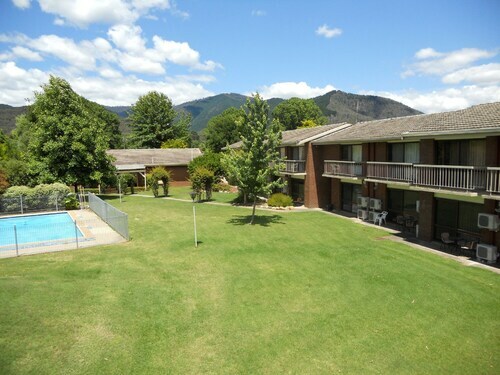 Situated in the beautiful Ovens Valley, Bright is an excellent base for exploring the nearby winter playgrounds of Mt Buffalo, Mt Hotham and Falls Creek. Follow the Great Alpine Road from your Bright accommodation all the way up the mountain to the ski-lift. The scenery alone is worth the trip, and once you are there you will be richly rewarded by Victoria’s premier snowfields. Winter is not the only time to stay in our Bright hotels; as the warmer weather of summer fades, Bright’s streets are set on fire. The Sweeping European trees of the town change their colours autumn and decorate the region in red, orange, and yellow leaves. 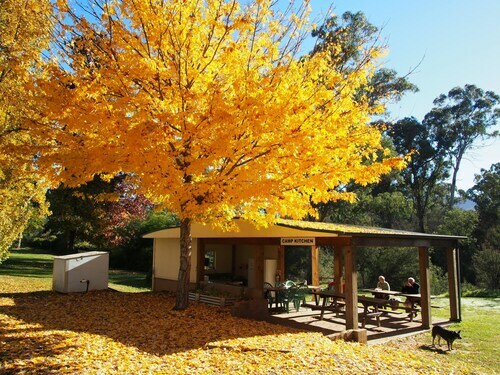 This natural event is celebrated with a man made one each year at the Bright Autumn Festival held in April. 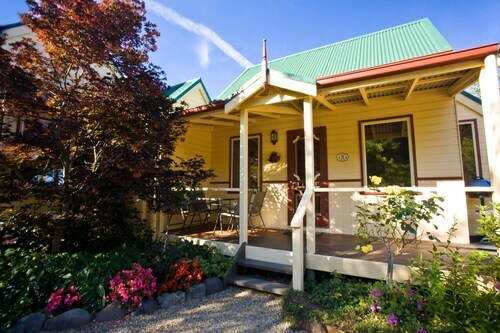 In fact our hotels in Bright are an excellent place to stay all year round. Enjoy the cosy surrounds of our Bright accommodation as you curl up in front of a fireplace, relax in the spa or just take in some glorious mountain views. Wotif.com has a range of accommodation in Bright options to suit any season, taste and budget. How Much is a Hotel Room in Bright? Hotels in Bright start at AU$100 per night. Prices and availability subject to change. Additional terms may apply. A little run down but generally clean. Very comfy bed. Great location. Super friendly staff. Would definitely stay there again. Overall the property was in good condition, a nice place to stay.